You can’t recruit who you don’t know. In fact, you can’t recruit who you don’t know and have contact information for. And if you don’t know who you know, then you know you can’t recruit anyone. So, use a Names List. If you want to be a high performing chapter, don’t keep your list of potential members on a bunch of crumpled up napkins, spread amongst your chapter members’ cell phones, or worse, in your recruitment chair’s memory. Build a shared Names List using GoogleDocs (utlize our free resources linked below). We’ve talked about a Names List many times before, but since it is the most important part of a Dynamic Recruitment System, it is worth repeating and expounding upon. Here are some thoughts on this #1 most important tool in Dynamic Recruitment — if you’re not using a Names List consistently, you’re not doing Dynamic Recruitment. *NEW* Create your own GoogleDocs Names List. Download and create yours now! (Fraternities | Sororities). A Names List is probably the second most important document in your entire chapter (second only to your ritual book). A Names List is the #1 way to manage the relationships of the chapter. If it is true that you can’t recruit who you don’t know and people don’t join organizations, people join people, then the Names List is the place to track, organize, and manage information about the people your chapter knows. A Names List is different than a “Wish List.” A “wish list” is fine, but it is much smaller than a Names List. A Names List includes every non-Greek person your chapter has met or that has been referred to you by a trusted source. A “wish list” is made up of a small amount of people you’re targeting for recruitment. A general rule of thumb is that any fraternity/sorority chapter in the country should have a Names List of around 500 or more people. Quantity Drives Quality! The more people on your Names List, the more people you can choose from. The larger the size of your chapter’s network, the more selective you can be. Dynamic Recruiting chapters update their Names List daily (if not hourly) throughout the year. At any time, any member of your chapter (or your advisors) should be able to open up your Names List and know the next steps that should be taken to move a potential member closer to joining the organization. When Phired Up is coaching a chapter or is executing a fraternity/sorority expansion project, the absolute first thing we do to get results is build our Names List. The #1 Most Important Recruitment Tool is a Names List. Use it. Need help? Just contact Phired Up and we can help your chapter start using this relationship management tool. So I read Vince’s blog on how taking care of recruitment is like properly brushing my teeth. Seems like something I should do every day (both recruitment and oral care). If you’re like me you may think, man… recruiting ALL year round for 365 days is the way to go! … but if you’re like me before I really understood Dynamic Recruitment, it may seem like A LOT of work. Both are true. Being a Dynamic Recruiter means that you are constantly reaching out to others and connecting people to your organization. It means that you’re shaking hands, making phone calls, and building relationships constantly. But trust me, it’s fun and it is worth it. When your chapter applies Dynamic Recruitment to its culture, your organization will grow with a higher number of higher quality members. Over time people will notice. When your competition takes notice of your success in using Dynamic Recruitment, they will mark you. As a marked man/woman, others will take notice of what you are doing, what you are saying and who you are talking to. You’ll be targeted. They’ll be watching. 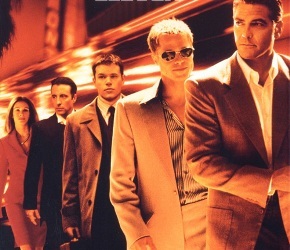 This reminds me of Ocean’s 11. Awesome movie. Daniel Ocean has this plan to break into the vault of Terry Benedict’s casinos. He assembles 10 others to rally around his cause. He’s got people and purpose. Yet as his plan unfolds, his target Terry Benedict, takes notice of Ocean and issues a hotel red flag on him so his every move on the casino floor is tracked. But it’s too late. Ocean’s plan is already in place no matter what Terry tries to do, he can’t stop Ocean’s 11 from taking his money. Once you set the Dynamic Recruitment system in motion, you’ll be unstoppable. Others on campus will mark you, target you, and track your every move… meanwhile you can go have a drink with Julia Roberts — you get the idea. The system will work if you put the system in place. As others watch you walking around, chatting with friends, meeting new people, and just being plain awesome all the time… remember that nobody can stop a Dynamic Recruiter. Nobody can stop you from creating a large Names List of non-Greek students on your campus. Nobody can stop you, and your selected team of workhorses (if you have Brad Pitt, Don Cheadle, and/or Matt Damon in your chapter, all the better) from contacting prospects and inviting them to a small activity. Nobody can stop you from having deep conversations about the dream of your organization. So they can’t stop you from getting the best of the best students on campus… and looking like an Oscar-winning movie star doing it. So get to work Danny Ocean! And let the rest of the campus enjoy the show. I want you to think about the last time you had dentist appointment. Before your visit, you casually performed your dental hygiene rituals. But then once that appointment creeped up on your calendar, you kicked it into high gear. The week before the appointment you were brushing three times a day, flossing after every meal, cutting out the morning coffee and sodas throughout the day… doing whatever you could to make a few last minute improvements. This news hits you like a punch in the gut. You’re thinking, “How could I have a cavity?!?! I worked so hard these last five days to prevent this!” All that extra attention during the days leading up to your appointment now seems like a waste. You figure it’s better to just continue with your old habits since there is nothing that you can do to prevent these cavities. Here’s a thought, give your teeth that attention the other 360 days of the year. Don’t get me wrong, I am not the poster child of dental health. However, I do recognize that I cannot expect positive results by neglecting an issue 51 weeks out of the year. 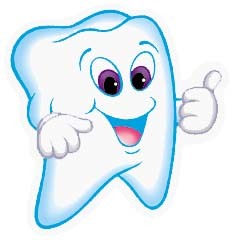 I realize that if I don’t want cavities, I should brush and floss everyday. If I want to impress the other spring breakers with my “beach bod,” I should hit the gym long before the 2 weeks leading up to spring break. And if I want big results for recruitment, I should be building relationships all year long. Static Recruitment (the opposite of Dynamic Recruitment) is a system that perpetuates this “dentist” and “spring break” mentality. Just like that week of extra brushing and intense gym work, there is a lot of hard work involved, but it is just too little, too late. My hope is not for you to read this blog then go brush their teeth/hit the gym/build relationships. My hope is that you will recognize the direct relationship between your patterns of behavior and your results. If your chapter is getting by with the 1 out of 52 week model, imagine the results you could get with a steady effort all year round. You’d be the cavity free, six pack equivalent of recruitment. There’s a big week coming up! 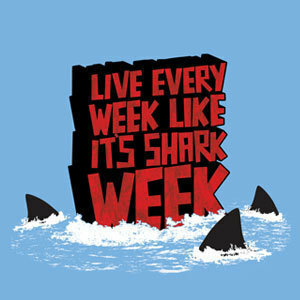 No, not Shark Week on the Discovery Channel, although that is a wonderful time of the year. On many campuses around the country a week called “Rush Week” or “Formal Recruitment Week” is just around the corner. This is often, unfortunately, a week built for sororities and fraternities to pressure strangers into a rushed decision about lifelong membership in their organization. We at Phired Up have plenty of problems with relying on formal recruitment as your only means of organizational growth, but there are also some things to be gained from a highly intense week of work to grow your organization. The trick is, to focus on GROWING YOUR GROUP’S SOCIAL NETWORK, not on rushing those poor unsuspecting first-year students into joining. Take the intensity of Shark Week, leave out the fakeness and pressure of Rush Week, and create something brand new: Networking (like a Shark) Week. The objective of this week of networking would be simple — your organization should build as many meaningful connections as possible within 7 days. My best recommendation for how to practically do a week of intense networking might be summed up in this blog titled, “Be Nice to People (at least for a week)”. Read that. But in a more general sense, change the focus of these first weeks of school. Instead of trying to force the entire recruitment, membership selection, and life-long decision making process of joining an organization into one or two weeks, direct your chapter to do one simple thing — build more meaningful relationships. Have an intense week of hard work, lots of handshakes, small activities, phone calls, E-mails, texts, Facebook work, referrals, and more — just make the point of it not to get people to join, but to build relationships. Think about how differently the people you’re interacting with will experience your organization. Instead of seeming like a sleazy used car salesperson trying to pressure them into a high-dollar, high-risk decision (joining your group), you seem like an individual who is actually trying to exemplify a primary purpose of your organization — networking (being social). You can measure how successful Networking (like a Shark) Week is in a really simple way. How many names did you add to your Names List? It is absolutely reasonable, on almost every campus in North America, for a fraternity or sorority to be able to add 300-750 names to their Names List in any given week (especially a week laden with the tenacity of a shark). A great place to start would be to take the “Say Hi Pledge“. Recently, and by recently I mean literally overnight the world has been exposed to Ted Williams (no, not legendary slugger of the Boston Red Sox). If you haven’t heard about Ted yet and his amazing story, I encourage to first click here to see the short video that started this overnight sensation. Clearly Ted has a special gift that should be shared with and enjoyed by the world. I literally got goose bumps the first time I watched and heard him speak! And even now as I’ve watched the video multiple times I am still amazed. Unlike many though, it’s not just the voice or Ted’s homelessness or combination of the two that I’m referring to. In no way do I want to take away from the amazing story that has developed from this video, but for a second, I ask for you to think back to that video or just watch it once more but do so with a different state of mind and just maybe by the time I’m done, this story will seem even more special to you. The first thing that blows everyone away about this story is the actual sound of Ted’s voice. It’s a classic and dare I say stereotypical radio announcer voice that we all know and probably even have our own version of that we use every once in awhile for fun. But listen beyond Ted’s voice, and listen behind his “audition lines” that he says alongside the car. Focus on the words that Ted uses when he describes his story. Focus on the reason why he was homeless and on the side of the road even though he had this magnificent, unique, unforgettable skill. Listen to him tell how drugs and alcohol, “and other stuff” as he puts it, led him to where he was that day on the side of the road. This is where the story actually takes off. I can’t help but wonder if Ted’s story would have become an overnight sensation like it has if this video stopped with the footage of him alongside the car auditioning. Would over 13 million people have viewed this video overnight if that was all that was there? I could be wrong, but I don’t think so. The reason why this is so amazing is because of his story. This video is only one minute and thirty-eight seconds long. Why has everyone who has watched this video gotten so caught up in Ted’s story? Why do we even know about this story? I don’t know who was behind the camera for this video but that person demonstrated the first pillar of Social Excellence by being curious. He kept seeing Ted and his sign and decided to investigate to learn more about this gift that this man had described on his cardboard sign. And being an upstanding citizen, he then exercised the second pillar of generosity. You have to watch closely for it, but you’ll see Ted put his hand in his pocket and say, “Thank You and God Bless you” after the camera man hands him some money for using his voice on camera for him, but it’s there if you watch for it. (As a side note, I don’t think this will be the last time someone hands Ted some Benjamin’s for using that gift as he’s already recorded a commercial for Kraft Mac-n-Cheese.) After that, the video becomes an interview….more curiosity on our cameraman’s part and then this is where the magic happens. The cameraman not only was generous with his money, but he became generous with his time. The most important thing that anyone could have given Ted at that moment was time. By one individual demonstrating the first two pillars of Social Excellence, he opened the door for Ted to exemplify the last two. And Ted did so beautifully! I don’t know how someone in Ted’s situation could be any more authentic and vulnerable so quickly and to demonstrate it in such a grand example. To immediately own up to the real reasons why he was homeless (drugs and alcohol) and not place the blame on others, but to own his situation is incredibly authentic. However, to take that a step further, and be so vulnerable as to share that with a stranger and a video camera in today’s world where news clips are “re-mixed” with music or end up on Tosh.0 for the sake of a good laugh….wow! That’s powerful. The power in Ted’s ability to be authentic and vulnerable is the reasons why that clip is as long as it is. Authenticity and Vulnerability are the reason why this was put on the news. Authenticity and Vulnerability are the reason why we are all so amazed and now touched by this incredible story. Authenticity and Vulnerability are the reason why I and others keep watching this video over and over. Authenticity and Vulnerability are the reason many of us will get a little teary-eyed and probably get a big smile as well when we watch the video of Ted seeing his 92-year old mother for the first time in 20 years. Are you… Wondering if there is a step-by-step, day-by-day guide to getting amazing recruitment results for your fraternity? Hoping that this resource takes into account the fact that you’re a busy college student? Wishing that it was actually written by a college student who understands your life? Good news! Last year Phired Up launched the FREE E-BOOK described below. Be sure to share this with all the fraternity men you know to drive recruitment results starting NOW! 365 Days of Dynamic Recruitment by Branden Stewart is a resource written by a college student for college students. Inside this 32 page E-book, collegiate fraternity men will find a sample day in the life of a Dynamic Recruiter, recommendations for monthly recruitment action plans, wisdom sparks, inspirational messages, customizable monthly planning calendars and live links to further information. This is a dynamic resource for Dynamic recruiters. Download your free copy by clicking here . Branden Stewart now serves as Coordinator of Resource Development for Phired Up Productions. When this E-Book was written, Branden was a senior in college, a chapter president, was working in the Student Life Office, and interning for Phired Up. People seem to like things simplified into three really easy steps. I want people to like me, so I’ll try that. If I could recommend three really quick things for you to READ in preparation for an AMAZING spring recruitment period, it would be these three. 2: How do I get high QUALITY members? This might be a nice blog post to share with other fraternity/sorority leaders you know that are gearing up for a big recruitment push. Just a thought. Just watched this TED talk from Brene Brown, Ph.D. on vulnerability. We’ve written about vulnerability before, as it is our 4th Pillar of Social Excellence. If you’re interested in vulnerability and it’s role in connecting people and within organizations, take 20 minutes to watch this video. That statement really cuts straight to the heart of why vulnerability is such an important component in Social Excellence. Life is about connection, as Dr. Brown argues at the beginning of the talk. In order for connection to happen, we have to access our vulnerability and share our authentic selves with the people in front of us. We talk about Social Excellence as the art form necessary to bring people together to make a positive impact on the world. A million-person-movement starts with a momentary choice to be real with the person right in front of you. In order to stay sharp, we at Phired Up challenge ourselves to see just how many things we can actually relate back to recruitment. Recently, I took on one of these challenges. While passing the time in the airport, I was playing a game of solitaire on my phone. I thought, “How do I relate this back to recruitment…?” This is how. BOOM! Which recruitment card game are you playing? Is your recruitment like Go-Fish? You have a haphazard pool to choose from… you pick cards at random… hoping for a match. Is your recruitment like Texas Hold ‘Em Poker? It’s risky… It takes a great deal of time and money… and you are more worried about what everyone else has in their hands. Or is your recruitment like Solitaire? You intentionally place cards depending on where they best fit… The only competition is you… and it is a game that requires a great deal of commitment and attention to detail. It is a game of personal excellence. As you gear up for spring recruitment, here are a few tips to help you and your chapter have the single solitaire-y best spring recruitment you have ever had. Figure out which cards are a good fit for your stack. Use the Values Based Selection Process to quantify different qualities your chapter values. Move the cards you have access to in order to gain access to more cards. If your campus’ spring recruitment is usually much smaller than the fall, you will need to work harder to get more names on your names list. Chunking is a great way to use the “cards” you have access to in order to gain access to more “cards”. Remember the name of the game. “Solitaire” root word – Solo. This is a game that is played by only one person, and in this case, recruitment is a game played by only one chapter. Try not to be concerned about what other chapters are doing for recruitment. A mindset that is detrimental to many groups is striving to be “the best on campus” or focusing on outdoing a rival chapter. Rather, hold your own members accountable to the values of your organization and you will see big results. I hope that you ace recruitment this spring by recruiting kings and queens and passing on the jokers. Reach the hearts of potential new members by showing them your chapter is not just any other club. So if you have to, call a spade a spade in order to get all hands on deck, and go find those diamonds in the rough. DEUCES!! !